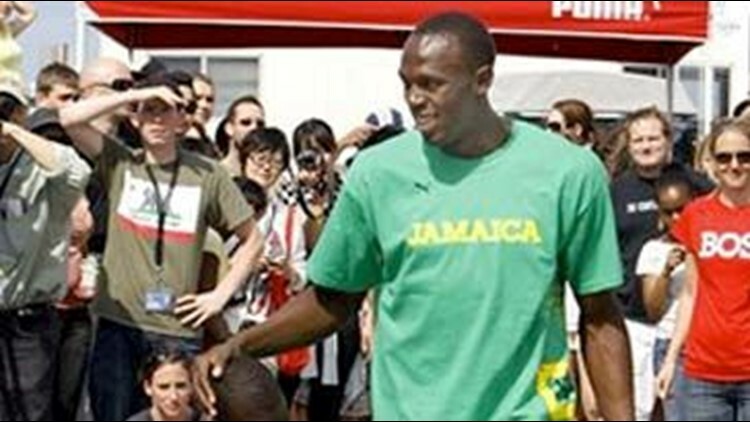 KINGSTON, Jamaica (AP) - Olympic champion sprinter Usain Bolt has been in a car crash in Jamaica and police say he has not been seriously injured. Police Sgt. David Sheriff says Wednesday that Bolt and an unidentified female passenger have been taken to a hospital in Spanish Town but neither has been seriously hurt. Sheriff says Bolt was apparently speeding on a rain-slicked highway when he lost control of the BMW M3 and it went off the road. Sheriff was the first officer to arrive at the scene in St. Catherine parish, and found the car heavily damaged. The 22-year-old sprinter won the 100 and 200 meters at the Beijing Olympics and was part of the Jamaica team which won the 4x100 relay. All three gold medals were earned in world record times.